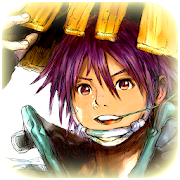 The mobile version of the remake version of Mystery Dungeon: Shiren the Wanderer released for NDS in 2016. In addition to the enhanced UI, the game also introduces new dungeons, monsters, and items. The game will cost 1800 JPY, the release date has yet to be confirmed. Mystery Dungeon: Shiren the Wanderer is the second title to the iconic Mystery Dungeon RPG series. The game was first released in 1995 for the Super Famicom.